Colour intersects media ranging from painting, sculpture, and print to installation, digital, and fibre arts. This workshop will explore colour as a physical material providing insight and skills that can be applied to any practice. Ways of thinking about and using colour will be presented through hands-on colour experiments and group discussions. Together we will examine colour behaviour and consider how colour traits are used to create a range of moods and effects. We will reflect on colour’s relationship to surface, and consider different ways of selecting and structuring colour palettes which can be applied to work in any media. 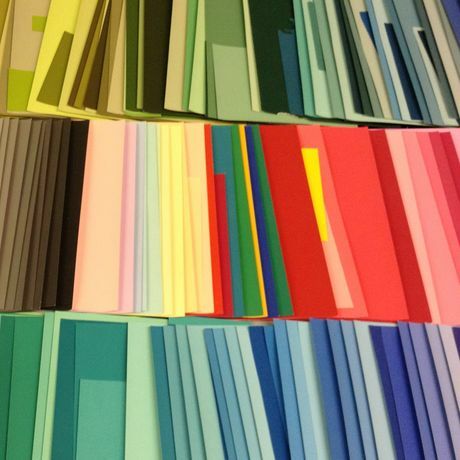 You will also be introduced to Colour-Aid papers and techniques by Josef Albers. This workshop is designed to be beneficial for all artists, whether you would like to use more colour in your work and may not have considered it formally since your foundation, or regularly work with colour and would like new insights and techniques.